This is the second book in the ground-breaking Hunger Games trilogy. After winning the brutal Hunger Games, Katniss and Peeta return to their district, hoping for a peaceful future. But their victory has caused rebellion to break out ...and the Capitol has decided that someone must pay. Then comes the cruelest twist: the contestants for the next Hunger Games are announced, and Katniss and Peeta are forced into the arena once more. One of my goals for 2017 was to read a book because I can't remember the last time I did. Not only did I read one book, but I read the whole trilogy in 2 months. Loved the story! I had a hard time putting the book down. It is a book. I read it. Good story. Couldnt put the book down!! 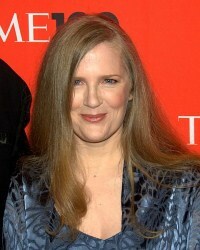 Since 1991, Suzanne Collins has been busy writing for children's television. She has worked on the staffs of several Nickelodeon shows, including the Emmy-nominated hit Clarissa Explains it All and The Mystery Files of Shelby Woo. For preschool viewers, she penned multiple stories for the Emmy-nominated Little Bear and Oswald. She also co-wrote the critically acclaimed Rankin/Bass Christmas special, Santa, Baby! Most recently she was the Head Writer for Scholastic Entertainments Clifford's Puppy Days, and a freelancer on Wow! Wow! Wubbzy! While working on a Kids WB show called Generation O! she met childrenâ? ?s author James Proimos, who talked her into giving children's books a try. Thinking one day about Alice in Wonderland, she was struck by how pastoral the setting must seem to kids who, like her own, lived in urban surroundings. In New York City, you're much more likely to fall down a manhole than a rabbit hole and, if you do, you're not going to find a tea party. What you might find...? Well, that's the story of Gregor the Overlander, the first book in her five-part fantasy/war series, The Underland Chronicles.